Trademark application covers registry services related to selling domain names to the public. According to the news from Domain.cn on October 29th, what does Amazon.com plan to do with top level domain names it is the registry for? Does it still plan to earmark them for just Amazon.com’s use? Is it just for defensive purposes? Or will it promote them to consumers? We don’t know much, but a recent trademark application provides some possible hints. Earlier this month, Amazon filed an intent-to-use trademark application with the U.S. Patent and Trademark Office for “Amazon Registry Services”. I’m not inclined to read too much into the trademark filing, as it makes sense for Amazon to cover every possible service related to running a registry. Still, it could be a sign that Amazon is getting ready to promote domains like .spot and .buy as alternatives to .com. The company recently started offering domains to customers via its Route 53 service. Should Amazon.com go all in on selling domain registrations, it also has a patent for selling and leasing domain names. According to the news from The Domains on October 29th, over the past week, 554 transactions took place on Sedo’s marketplace and via SedoMLS, totaling $1m. 49% of total sales were the result of Buy Now listings. 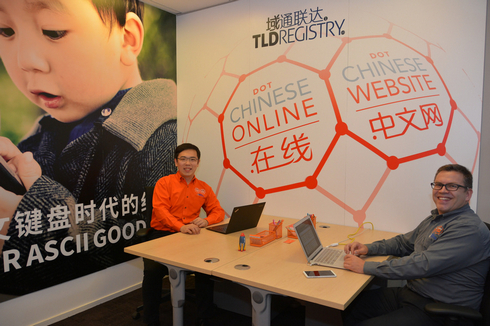 According to the news from Domain.cn on October 29th, TLD Registry, the company behind the Chinese IDNs Dot Chinese Online (.在线) and Dot Chinese Website (.中文网), has opened a Chinese headquarters and named a new General Manager for China. According to the news from Domain.cn on October 23th, the premium domain name Holiday.com is now up for sale via Escrow.Holiday.com is up for auction at the World Travel Market,to be held this November in London. ” Escrow.com, the pioneer of online escrow services, today announces that Breathe Luxury, a luxury concierge service, has chosen Escrow.com to provide safe and secure financial transactions for a live Domain Auction at World Travel Market, this November in London. Just recently, Escrow.com announced the acquisition of Agreed.com, bringing together the only two licensed escrow companies in the United States that have products, services, and systems specifically designed for the domain community and online personal property transactions. Escrow.com is a government licensed and audited, bonded and insured online escrow service that complies with Escrow Law. Since 1999, the company has successfully protected Buyers and Sellers from fraud. Sellers are protected for non-payment and Buyers are protected for non-delivery or misrepresentation of goods. Escrow.com is a Strategic Partner with US Commercial Service and has handled over $2 billion in successful transactions. For more information, please visit http://www.Escrow.com. World Travel Market – the leading global event for the travel industry – is a vibrant must attend business-to-business event presenting a diverse range of destinations and industry sectors to UK and International travel professionals. According to the news from Domain.cn on October 23th, the auction for ETB.com domain name is now live on Sedo. ETB.com received three bids ,with the highest one of $22,000. The auction for ETB.com ends tomorrow, October 23,2014.However, the reserve price has not been met.The reserve range for ETB.com is 25,000-49,999 USD. MGP.com also managed to attract a lot of interest.The domain name received four bids, with the highest one of $20,000. You can see the entire inventory and place your bids here. According to the news from Domain.cn on October 23th, on 22 October 2014, an Auction conducted by ICANN’s authorized Auction service provider, Power Auctions LLC, was held to resolve string contention sets for three new generic Top-level Domain (gTLD) strings; SALON, SPOT, and REALTY. String contention occurs when ICANN receives more than one application for the same or a confusingly similar gTLD. The applicants for these strings were unable to resolve the contention sets among themselves, and thus proceeded to an auction, which is the method of last resort to resolve string contention sets as prescribed in Module 4 of the Applicant Guidebook. Subject to payment of the Winning Price and meeting all other criteria for eligibility, the winner will begin the contracting process to sign a Registry Agreement to operate the respective gTLD. Four applicants for SALON participated in the Auction. Outer Orchard, LLC prevailed in the Auction with the winning price of $5,100,575. Three applicants for SPOT participated in the Auction. Amazon EU S.à r.l. prevailed in the Auction with the winning price of $2,200,000. Two applicants for REALTY participated in the Auction. Fegistry, LLC prevailed in the Auction with the winning price of $5,588,888. All proceeds from the Auction are being segregated from use until the Board determines a plan for the appropriate use of the funds through consultation with the community. A detailed summary of the Auction proceeds and costs through the September 2014 Auction is available here, and will be updated with the latest information at the end of each month. 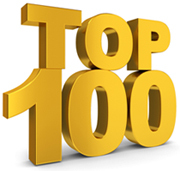 TUESDAY, 20 OCTOBER 2014 DOMAIN NEWSAccording to the news from Domain.cn on October 20, only one new domain qualified for our Year-to-Date Top 100 Sales Chart this week. That was #87 GoldPay.com, a domain that sold for $64,000 at Sedo.com. This was the first week since the end of August that no six-figure sales were reported. You can get all of the details on this week’s sales here. Only one new domain qualified for our YTD Country Code Top 100 Sales Chart this week but that one landed in the top quarter of the elite list. That was #23 ShopTheHood.ca, a domain that ShopCity.com sold to the owners of ShopTheNeighborhood.ca for $35,200. Three new domains qualified for our Non .com gTLD Top 100 Sales Chart this week with one of those soaring into the top 20. That was #20 (tie) Stream.org, a name that Sedo sold for an even $20,000. According to the news from Domain.cn on October 20, Senator Mark Warner (D-Va) wrote a piece on Information Week that discusses the reforms that need to be addressed before the keys to ICANN are handed over. He touches upon things like, Who will hold ICANN accountable, transparency with the public and the sanctity of the DNS. The FCC recently received more than 3.7 million comments on its proposed rules to govern how Internet providers will treat traffic on their networks. However, there’s another pivotal discussion happening that could turn out to have an even bigger impact on how the Internet will be governed. Much of it boils down to how the international Internet community will oversee web addresses and domain names and how well it will protect the principles of a secure, stable, and open Internet. Basic questions must still be answered. For example, without the current oversight provided by the US, who will hold ICANN accountable for its decisions? How will the public be informed about how ICANN makes policy? How will its membership be vetted to ensure that nations are represented appropriately, and that technical experts are always present? Following the NTIA’s announcement, I wrote a letter to the NTIA expressing some of those concerns. However, questions remain unanswered. For nearly two decades, the DNS has been a model of reliability — something all of us take for granted. But if it were to fail to function correctly, it would be a disaster. It’s imperative that the NTIA use its oversight capabilities to see that ICANN adopts real reforms with clear enforcement and dispute-resolution mechanisms. ICANN needs to demonstrate that it is ready — and that it will remain a capable, responsive, and independent guardian of the Internet’s infrastructure long into the future — before the NTIA turns over the keys. According to the news from Domain.cn on October 20, .Rich picked up 3 registrations yesterday which is notable since it represented an addition of 8% to its registration based which increased from 46 to 49. .Rich has the highest cost of any new gTLD with a regular, non-premium registration fee as high as $3,000 per domain name registration. What makes it even more notable is who registered the three new .Rich domain names. Jingdong which purchased then changed its name to JD.com, was formerly known as 360Buy, and is one of China’s largest B2C online retailers and now listed on NASDAQ with a $30 Billion dollar market cap. PaiPai is another company owned by JD.com which is described as a paypal type of service, and seen as a possible competitor to Alibaba. Vixun is another company that JD.Com acquired from another giant Chinese company, Tencent. Unless you have been leaving under a rock in the domain industry you know that the Chinese have become huge players in the domain space not only acquiring some of the most expensive publicly announced domain sales on the aftermarket but in the new gTLD space. Chinese IDN, New gTLD hold 4 spots in the top 30 new gTLD’s in terms of registration plus .Wang which is predominately registered by those in China is the 4th most popular new gTLD with over 77,000 registrations and one China based registrar has over 100,000 .XYZ registrations putting it right behind Network Solutions for the most registered .XYZ domain names. According to the news from Domain.cn on October 20，the Coordination Center for TLD RU/РФ, the company responsible for the administrations of .RU and .РФ extensions, is approaching 5 million domain registrations under .RU . .RU currently holds the 6th position in list of biggest ccTLD’s after .DE , .TK , .UK , .CN and .NL, with 15.8 million domain names for .DE, 15.1 million domain names for .TK , 10.5 million domains for .UK, 6.6 million domain names for .CN and 5.51 million domain names for .NL. .RU is also a leader in terms of growth rates among the biggest ccTLDs. The fourth million .RU domain name was registered on 17 September 2012, while the third million .RU domain name was registered registered on the night of 24/25 September 2010. Four years ago, .RU got a little brother, IDN TLD .РФ. Since then, the Internet market in Russia started growing twice as fast: by approximately 1,000-1,500 new domain names daily in each domain zone. At the time of writing this article, there are 4,892,885 .RU domain names. Check out EuroDNS here to register your .RU domain name.